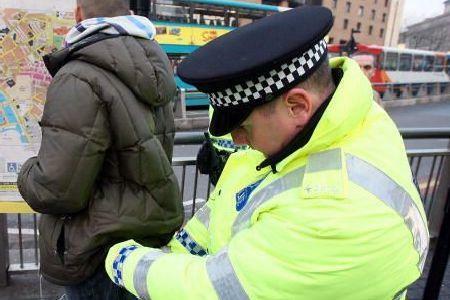 The British police have demanded that the government allow them more power by law to stop and search people even without suspect evidence. Senior police officers in Britain have suggested that a new 'stop and search' bill as a counter-terrorism measure should be approved by law-makers for them to be able to better protect the public. The Home Secretary Theresa May ruled out Section 44 of the Terrorism Act 2000, which allows counter-terrorism stops without suspicion, after European judges issued a verdict about a related case that was deemed against human rights. However, the Metropolitan force officers who lead the UK fight against terrorism, say that a more powerful 'stop and search' legal permission is necessary, especially during specific periods when the public is in greater danger from terrorists. They have mentioned that such periods concern events such as the 2012 London Olympics, state occasions such as trooping the colour, and major summits such as the G20 when held in the UK. Currently, section 43 of the Terrorism Act allows searches, but an officer must have reasonable suspicion for the stop to be lawful. The 'stop and search' power issue is a very controversial one since it could breech the rights of ethnic minority Britons, which in turn would boost racial discrimination in the UK. It is believed that Section 44 fell into disrepute because it failed to lead to the capture of a single terrorist after 100,000 stop-and-searches, and it was used in some cases against protesters and photographers, the Guardian writes. "Where officers have the maximum discretion that is where you have the greatest racial discrimination in the way the police have used their powers. We would want to be absolutely certain that police are not targeting ethnic minority communities for unfair stops and searches," said Ben Bowling, a professor of criminology at King's College of London and founding member of Stopwatch, which campaigns against alleged police abuses of stop and search powers. Shami Chakrabarti, director of Liberty, the civil liberties pressure group, said, "It must target specific places, not classes of people, on the basis of intelligence and risk for narrow windows of time, with adequate authorisation and transparency. Then it will satisfy proportionality and equal treatment whilst providing a rational, flexible aid to anti-terror policing." But senior police officers have said that they are hopeful to win UK ministers' support on the issue. A coalition of charities has warned that homelessness will soar across Britain after the coalition government enforced housing benefit cuts. Seventeen charities said the government's cuts to housing benefits could double the number of people sleeping on the streets within a year, British media reported. The government announced, as part of its public spending review plan, it will no longer pay for 25-34 year-olds from 2012 to live in a one-bedroom flat, but it could instead only cover the costs of a room in a shared property. According to the government's own figures, the reform will see 88,000 people lose an average of £47 a week with many whose benefits will be halved. The coalition of charities said in a statement last month that the number of the “visibly homeless people” could surge unless the government reverses its plan to cut welfare. "Vulnerable people who have been homeless, are leaving care or prison … sharing is often inappropriate and can be particularly detrimental to well being", said the statement. "We have about 8,000 rough sleepers in the country and the government's reforms could easily put another 8,000 on the streets," said Howard Sinclair, the chief executive of the homeless charity Broadway and a signatory to the letter. The problem is that local authorities have no legal duty to help house young single people. "They do not have family, no real social networks … they are outsiders and they will have nowhere but the streets to go," he said. London, where roughly half of the country's rough sleepers live, has seen a rise in homelessness in recent years as the financial crisis hit. Iran's caretaker Foreign Minister Ali Akbar Salehi has urged the United Nations to help determine the fate of an Iranian national who reportedly died in an Israeli prison. Ali-Reza Asgari, a former deputy defense minister, mysteriously disappeared in Turkey in 2007. He was believed to have been abducted and transferred to Israel. A Ynet report on Tuesday stated that a prisoner had committed suicide in solitary confinement in Israel's Ayalon prison. The Eurasia Review website claimed that a source within the “inner circle” of the Israeli Defense Ministry had identified the prisoner as Asgari and that his death could have been murder and not suicide. “Publication of such reports strengthens suspicions over the abduction of aforementioned individual [Asgari] by the Zionist regime [of Israel],” Salehi said in a message to UN Secretary General Ban Ki-moon on Thursday. 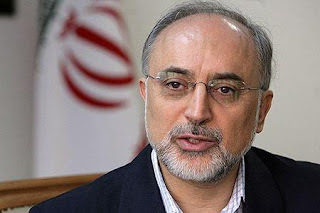 Salehi said Israel must therefore be held accountable for the health and safety of the former Iranian deputy defense minister, a Foreign Ministry statement added. Asgari's abduction has taken place “against all recognized principles of international law and is an explicit example of the Zionist regime's state terrorism,” the Iranian official said. 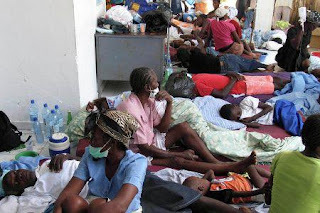 Haiti's cholera death toll has risen to 2,901 and official figures show that the daily number of fatalities has hit a record high since the beginning of the outbreak in October. The confirmed number of cholera deaths on December 19 was just under 100, Haitian health ministry declared. The disease has also affected over 128,000 people in the country. There is also a growing concern in the bordering countries about the consequences of Haiti's cholera outbreak. Experts from the World Health Organization have warned that the number of the infected people may rise to 400,000 within the coming months. To tackle the outbreak of cholera, there is a need for more than $160 million over the next year, the United Nations said. Haiti is simultaneously striving to muddle through the aftermath of a recent earthquake that killed over 250,000 people in January. Egypt has prevented some 50 Iranian and Jordanian activists on the Asia 1 aid convoy from reaching the Gaza Strip through its soil. The Egyptian embassy in Damascus, Syria, has informed the convoy of a permit that allows only 120 activists to pass through Egypt and then enter Gaza via El Arish port, the Egyptian daily Al-Ahram reported Thursday. Palestinian authorities said that Cairo is also denying entry to 10 generators donated by Iranians. This will decrease the size of the humanitarian convoy to below 300 tons, which will be limited to food and medical aid, in addition to toys, for the besieged Palestinians. Gaza has been under a crippling blockade since 2007. The Asia to Gaza Caravan, or Asia 1, consists of activists from more than 15 countries, including Iran, India, Japan, Indonesia, Pakistan, Malaysia, New Zealand and Kuwait. It was scheduled to reach Gaza by December 27, in time for the second anniversary of Israel's 22-day war on the Strip that started on December 28, 2008. Over 1,400 Palestinians, mostly women and children, were killed and thousands others injured or maimed in the three-week Israeli-imposed war. Half of Gaza's infrastructure was destroyed and remains unrepaired as a result of Israel's siege, which includes a ban on the entry of building materials into the coastal sliver. The convoy has travelled 7,000 kilometers but has been stuck in Latikia, in Syria, since last week awaiting Egypt's permission. Palestinians and Arabs will soon submit a draft resolution before the UN Security Council (UNSC) demanding a complete halt to all settlements in the occupied Palestinian territories. The draft resolution is due to come before the United Nations in January, when Bosnia takes the rotating presidency of the Security Council from the United States. "We will go before the Security Council in the coming days to stop the Israeli settlements in the Palestinian territories, especially East al-Quds (Jerusalem), capital of the future Palestinian state, which is a red line for all Palestinians and Arabs," said Nabil Abu Rudeina, spokesman for the acting Palestinian Authority (PA) Chief Mahmoud Abbas. "We will present a Palestinian and Arab resolution," he told AFP from Brazil, where he is accompanying Abbas on an official visit. Direct talks between Israelis and the Palestinians, launched on September 2, broke down three weeks later after a 10-month Israeli moratorium on settlement building expired but Tel Aviv refused to renew it and continues the construction in the occupied West Bank and East al-Quds. It was on Dec. 15 that the Arab League announced it would seek a Security Council resolution against Israel, ordering a total freeze to Jewish settlements. It also called on the United States, which has vetoed resolutions against Israel in the past, not to obstruct such a move. The US has said that it will oppose any resolution brought before the UNSC that calls on Israel to end settlement activity in the West Bank. US State Department spokesman Mark Toner said last week that the US continued to oppose Israeli settlement activity, but also opposed bringing the issue to the UNSC. Four activists have been forced to leave an art gallery in New York for wearing T-shirts in support of the besieged Palestinians in the Gaza Strip. 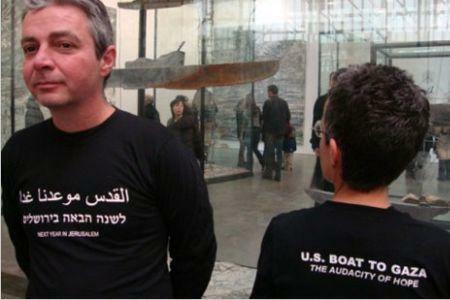 Eight people had worn black T-shirts with “NEXT YEAR IN JERUSALEM” printed on the front and “US BOAT TO GAZA” on the back. The writings were in English, Hebrew and Arabic. The activists had worn the T-shirts on the final day of an exhibition at the Gagosian Gallery called “Next Year in Jerusalem,” in an effort to include an American boat in the next blockade-challenging aid convoy to break the Israeli siege on Gaza. Half of the group had left when ordered to leave but the four refused to vacate the place and the police were called in to force the activists, who had tried to draw attention to their cause, to leave. But according to witnesses, when one of the activists refused to go, she was pulled so roughly that she fell on the ground. The woman, who was in her late 50s, was dragged across the floor of two long rooms to the doorway. Police have denied the violence, The New York Times reported on Thursday. The activists explained that they were part of an organization called "US Boat to Gaza," which plans to sponsor a ship in the next flotilla to sail against the Israeli blockade. The Pakistani president faces political turmoil as he steps up efforts to prevent his ruling coalition from collapse after two major allies left the government. President Asif Ali Zardari's ruling party is attempting to keep his coalition government intact as senior leaders are pressuring two opposing partners to rejoin the cabinet in meeting. 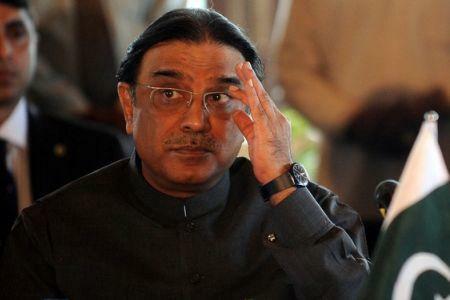 Zardari met with Faisal Sabzwari, a Muttahida Qaumi Movement (MQM) leader, only days after the party withdrew from the government. The MQM has decided in favor of the resignation of two of its ministers from the cabinet. The Jamiat Ulema Islam party (JUI) also left the cabinet earlier this month. The JUI's spokesman Hafiz Hussein Ahmad stressed that the party would only return to the government if the president dismisses Prime Minister Yousuf Raza Gilani. Interior Minister Rehman Malik, a senior Pakistan People's Party (PPP) lawmaker, held crisis meetings with MQM and JUI leaders late Tuesday, urging them to support an increasingly unpopular government, AP reported. Political analysts say the government will lose the majority in parliament if the two parties join the opposition. The mounting unemployment rate in the United States has provided an opportunity for the Pentagon to recruit more people for its unpopular wars abroad, an analyst says. 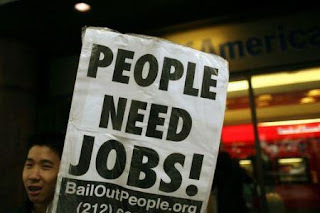 In an interview with Press TV, investigative journalist Wayne Madsen referred to the high unemployment rate in the US, especially in poorer states such as Alabama. 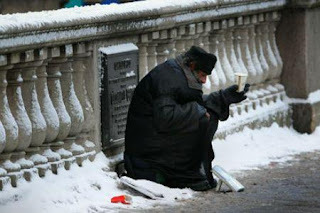 “Unemployment there is at 33 percent. It is so bad that young people graduating from high school have no other choice but to join the military,” he said. “That is pretty good for the Pentagon and its recruiting numbers that also creates more cannon for these senseless wars that the United States has engaged in overseas,” Madsen pointed out. The latest data shows that the jobless rate in the US remained at 9.6 percent for a third consecutive month in October. This is while the US Labor Department announced a 20,000 increase in initial claims for unemployment benefits last month. The new claims pushed up the number of seasonally adjusted benefit claims to 457,000 in October. 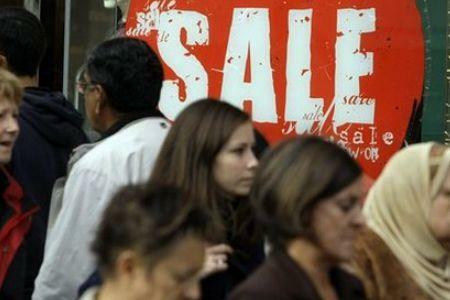 The US Labor Department has also announced that almost 15 million Americans currently collect unemployment benefits. 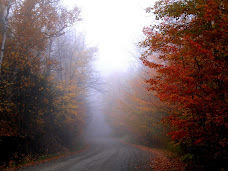 Experts are of the opinion that the outlook for the rest of the year is likely to remain bleak. 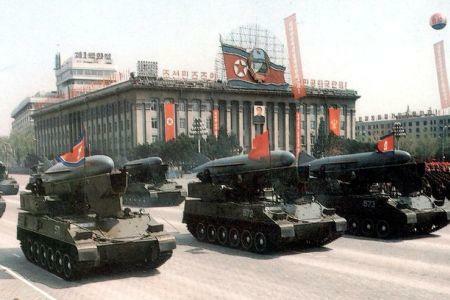 Seoul's Defense Ministry says North Korea has boosted its special forces and deployed huge artillery guns and a new kind of tank close to the heavily fortified border. “Threats from North Korea's asymmetric warfare capabilities - such as special forces, artillery pieces and weapons of mass destruction - have been on a steady rise since 2008,” South Korea's Deputy Defense Minister Chang Kwang Il was quoted as saying by the Yonhap news agency. The biennial report by the ministry signals that the North's military threat has expanded as it has an unspecified number of new powerful tanks prowling the border with the South. Nearly 13,600 long-range artillery guns have been deployed along the Demilitarized Zone and are reportedly ready to launch attacks on Seoul, the report noted. With a population of more than 10 million, Seoul is 30 kilometers away from the border. According to the report, the North has also added 20,000 soldiers to its 18,000 special forces over the past two years. Seoul claims the contingent of 200,000 special forces are trained to infiltrate into the South to carry out assassinations and disrupt sensitive facilities. The report further added that the North intends to rely on its nuclear program as a counterweight to South Korea's high-tech military. The news comes at a time tension is high between the two neighbors following an artillery fire exchange which left four Southerners dead last month. Iranian Grand Ayatollah Naser Makarem Shirazi has lauded an Asian humanitarian aid convoy for making an effort to break the Israeli crippling siege of the Gaza Strip. “I am so happy with your visit [to Gaza] which pursues a humanitarian goal,” Ayatollah Makarem Shirazi said in a letter to the Asian Gaza Convoy, ISNA reported on Thursday. “This act of yours will be internally recorded in history and be aware that this absolutely humanitarian move to save an innocent community will be reflected around the globe,” he added. The senior cleric condemned the “usurper Israeli regime” for its occupation of the Palestinian territories and scorned the blockade of the Gaza Strip as an imprudent move that earns further shame and disgrace for Tel Aviv. 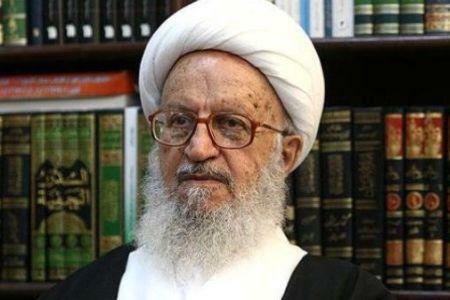 “Another consequence of this insane move is forging a link among various ethnicities and faiths,” Ayatollah Makarem Shirazi said, noting how the occupation of Palestine has grown from an Arab world issue to an international issue which is not limited by boundaries of religion or race. This paves the way for the further decline of the Zionist regime [Israel],” he went on to say and expressed hope that the “brave and meditated” move by the Asian Gaza Convoy would make a great contribution to the collapse of Israel. In the letter delivered to the aid fleet in Syria, Ayatollah Makarem Shirazi said he wished he could accompany the convoy. He also expressed hope that the move would set an example for the emancipation of humans from oppressors and occupiers across the world. A group of 50 activists originally started their planned nine-country road convoy trip from India and entered Iran through the southeastern province of Sistan-Baluchestan on December 9. Accompanied by a group of Iranian lawmakers, the convoy was scheduled to arrive at the Rafah crossing in late December to deliver its cargo of the much needed medical and relief supplies for the impoverished people in Gaza. China has announced sharp cuts in export quotas for rare earth minerals in the first half of the coming year, raising concerns about its trade ties with major partners. The metal supplies, vitally needed for making a wide range of high-tech and clean technology products as well as other goods, will decline by 11 percent in 2011, in addition to the 40-percent drop in exports in 2010. China's Commerce Ministry allotted 14,446 tons of quotas to 31 companies, 11.4 percent less than the 16,304 tons it allocated to 22 companies in the first half of 2010. China produces around 97 percent of the rare earth elements in the global market. The announcement, made on Tuesday, will affect the country's trade relations with the United States, the European Union and Japan and has brought about concerns in Washington. 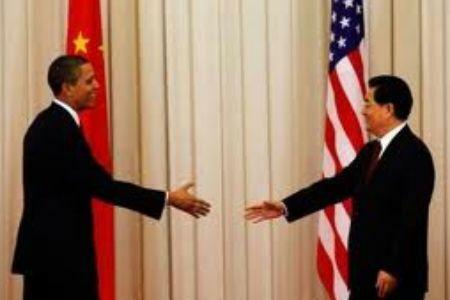 "We are very concerned about China's export restraints on rare earth materials. We have raised our concerns with China and we are continuing to work closely on the issue with stakeholders," Reuters quoted US Trade Representative spokeswoman as saying. The Trade Representative's Office has said the US could make a complaint to the World Trade Organization if China resumes the export limitations on rare earth minerals. China says the cuts are based on environmental policies and that ensuring supplies to Chinese clean energy companies is their priority. Next month's talks between Chinese President Hu Jintao and his American counterpart Barrack Obama are viewed as a vital event in restoring stability in their trade ties. South Korea has adopted a softer tone on North Korea's nuclear issue, calling for a revival of international talks with Pyongyang to shut down its nuclear program. "(We) have no choice but to resolve the problem of dismantling North Korea's nuclear program diplomatically through the six-party talks," South Korean President Lee Myung-Bak said as he received a 2011 policy report from the foreign ministry on Wednesday, AFP reported. Tensions have been high on the Korean Peninsula after a November 23 artillery fire exchange which left four South Koreans, including two civilians, dead. The incident turned many heads as it became the first shelling of a civilian area in the South since the 1950-53 Korean War. The crisis further deepened over rounds of joint military drills South Korea held with the United States despite threats of retaliation from Pyongyang. While the North backed down on its threats in a change of tone, Russia and China are making efforts to resume talks with the North to further ease high tensions. A US diplomat who visited Pyongyang this month said the North had agreed with the return of UN nuclear inspectors and to dispose of fuel rods outside the country. Lee on Wednesday said the international community is pressed for time to denuclearize the North, which has set the 100th anniversary of founder Kim Il-Sung's birth in 2012 as the year to become a "great, powerful and prosperous" nation. Therefore, we "should certainly achieve the dismantlement of its nuclear program next year," he insisted. The North shut down its elderly plutonium-producing reactor in 2007 under a disarmament deal reached in six-party talks which involved the two Koreas, China, Russia, Japan and the US. 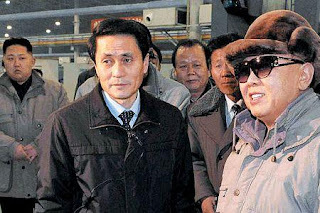 The talks failed in April 2009 following new inter-Korean tensions. In October, Pyongyang unveiled a uranium enrichment plant which US officials claimed could easily be converted to produce weapons-grade uranium. But North Korea says its new plant is solely aimed at fueling a light-water reactor being built to produce energy. A majority of Britons are viewing the new year with trepidation due to concerns about the economy as the coalition government's public spending cuts leave their impact on society, a new poll has shown. The survey, conducted at the behest of the Timesnewspaper, shows that two-thirds of Britons are pessimistic about improved economic conditions in 2011, and one in five has decided to revolt against the spending cuts introduced by the government. Cities across the UK witnessed violent protests these past two months. Tens of thousands of student protesters poured into the London streets on December 9 as the House of Commons voted into law a decision to triple university tuition fees to almost £9,000. The protests turned violent after police “kettled” protesters as young as 12 for several hours and at least 50 people were injured in the day of the vote, alone, including 12 police officers. The coalition government, formed after inconclusive general elections in May, inherited an insolvent government with a record budget deficit of 154.7-billion-pounds. It was forced in October, soon after formation, to unveil the harshest spending cuts in decades. Most government departments were forced to carry out at least a 20 percent cut in spending as part of the coalition plan, while almost half a million public sector jobs are waiting to be slashed over the next four years. The survey carried out by the pollster, Populus, showed two-thirds of those, who asked, believe they will have less spending money in the coming year and a high number of people expect to fall behind with some bills. Thirty-eight percent of the people quizzed predicted they would struggle to pay all their household bills on time, according to the poll, and around 20 percent said they were prepared to take to the streets, while seven out of 10 people said they believed public protests "can be effective." Populus interviewed 1,003 adults aged 18 and over by telephone between December 17 and 19 for the poll. 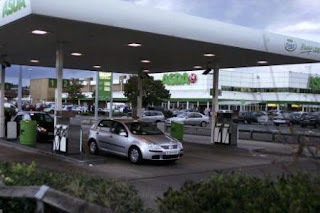 The British consumers will have to pay higher costs for fuel in 2011 as world markets prices of crude oil increase to their highest level in more than two years. The rise in the price of crude oil is partly linked to a recent meeting of the Organization of the Petroleum Exporting Countries (OPEC) in which the members decided to keep the quotas unchanged until June, the daily Belfast Telegraph reported. “Even without any increase driven by world markets, UK motorists face a 0.76 percent rise in fuel duty - upon which they also pay VAT - on January 1”, said an AA spokesman. “Three days later, petrol prices will rise higher when the actual rate of VAT goes up from 17.5 percent to 20 percent”, added the spokesman. Oil prices are up by almost 30 percent since September, pushing up both pump prices and wholesale gas costs. This development comes after the prices hit a low of around $40 a barrel at the end of 2008. The worry among economists is that higher oil prices -- which hit both the fuel industry and the household gas and electricity sectors -- will further drive up inflation and hamper the global economic recovery. According to the AA, the cost of unleaded petrol is now at a new record high of 123.26 pence per liter -- up 14 percent on a year ago. Soaring petrol prices come at a bad time for UK consumers, who are battling inflation of 3.3 per- cent. Three weeks ago, Npower became the latest of the "big six" energy providers to increase its prices - taking electricity and gas tariffs up by an average of 5 percent in the new year - following similar increases from British Gas, ScottishPower, and Scottish and Southern Energy in recent weeks. An Indian state-run nuclear company and a French firm have signed a 9.2-billion-dollar deal for the construction of two nuclear reactors in India by 2020. Nuclear Power Corporation of India (NPCIL) and France's nuclear group Areva inked a series of contracts for building two 1,650-megawatt reactors in India. The development comes two years after Areva reached an agreement with India on the supply of six European pressurized reactors (EPRs). 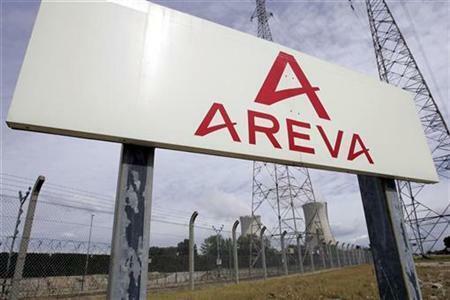 "India has little experience in the field of civilian nuclear power, which entails a large amount of technical preparation and lengthy negotiations," an Areva engineer said. India's Environment Minister Jairam Ranesh says that the project will be implemented on a 1,000-hectare site at Jaitapur, south of Mumbai and fulfils all the conditions to "reconcile the objectives of economic growth, fuel-mix diversification, global diplomacy and environmental protection." Until 2008, there was an embargo on sales of civilian nuclear technology to India, but it is now the third country to purchase from Areva, after Finland and China. India currently satisfies 70 percent of its energy needs from coal. 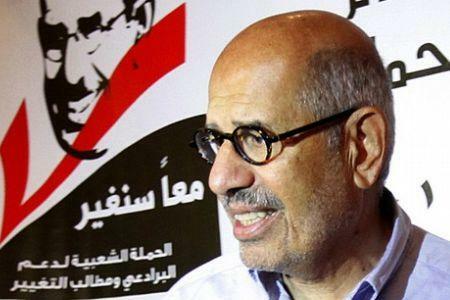 "You need to get outside the system and understand that this is not a political system," UPI quoted ElBaradei as saying on Tuesday. "This is a system that has failed. 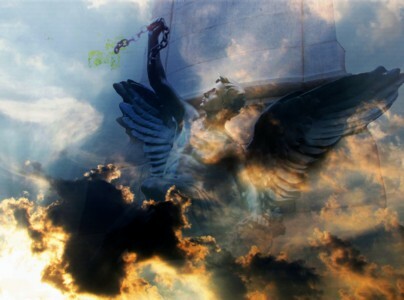 Egypt has become one of the 60 failed states," he went on to say. Earlier this month, the results of Egypt's second round of general elections gave a predictably huge win for the ruling party amid widespread reports of voter intimidation and fraud. Led by Egyptian President Mohamed Hosni Mubarak, the National Democratic Party swept nearly 80 percent of the 508 seats. The Muslim Brotherhood, the country's largest opposition group, which won one-fifth of the parliamentary seats in the 2005 elections, though, did not manage to get any of its 130 candidates into the parliament. Human rights groups have condemned the Egyptian government for cracking down on opposition candidates and their supporters. In late October, ElBaradei said Cairo would not be able to retain its increasingly “authoritarian” rule. "The more unpopular this regime becomes, the more it realizes how much it is hated, the most authoritarian it becomes," he was quoted as saying in an October 30 interview with Austrian daily Kurier. Argentina is in the grip of a sizzling heat wave that has left millions in hellish conditions, while the northern hemisphere fights freezing temperatures. On Tuesday temperatures soared to 36 C (97 F) in the Argentine capital, Buenos Aires, creating scenes the total opposite of those in snowbound Europe and the United States. This, coupled with power outages and a fuel shortage, has forced Argentina's National Meteorological Service to issue a high alert for Buenos Aires and its surrounding areas. 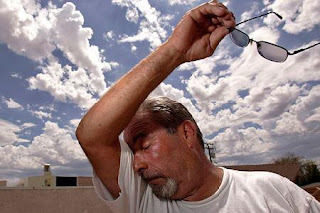 Authorities believe that the heat-wave poses health risk for the Argentineans. "The city of Buenos Aires has a summer average of 90 deaths per day but, for example, during the heat wave at the beginning of 2001 it went up to 250 deaths in a single day," the weather service warned on its website. Meanwhile, Argentine Health Minister Juan Manzur announced on Tuesday that high temperatures are expected to continue throughout the week and advised people to stay out of sun and drink lots of water. The heat-wave has also caused concerns for the country's agriculture sector. Farmers believe that the hot weather along with the decrease in rainfall could continue until March, endangering grain exports -- one of Argentina's main sources of income. Adding to the crisis, the climatic phenomenon La Nina has meanwhile spread drought across large parts of Argentina's richest agricultural regions. The heat wave has also set a "historic record" in electricity consumption across the capital. This has led to 24-hour-long outages in numerous Buenos Aires neighborhoods and urban districts, frustrating residents and triggering bitter protests in the festive holiday season. Critics lay the blame squarely on government policies that have deterred investment in the energy sector. Venezuelan President Hugo Chavez has dared the United States to cut off diplomatic ties over his opposition to Washington's choice of ambassador. In a national television broadcast on Tuesday, Chavez said he has no problem with the US wanting to cut off diplomatic relations and expelling Caracas' ambassador to Washington. 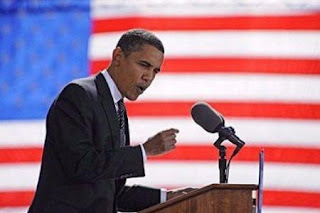 Tensions have flared up between the United States and Venezuela since August after US President Barack Obama nominated Larry Palmer as the US new ambassador to Caracas. But Chavez has insisted that Palmer is not welcome after the diplomat leveled harsh criticism against Venezuela during his US Senate confirmation hearings months ago. At the time, he had claimed that morale is low in Venezuela's military and also linked Chavez's government to leftist rebels in neighboring Colombian. His comments fueled a row between Bogota and Caracas. "We have denied recognition to this gentleman and now the United States government is threatening to retaliate. 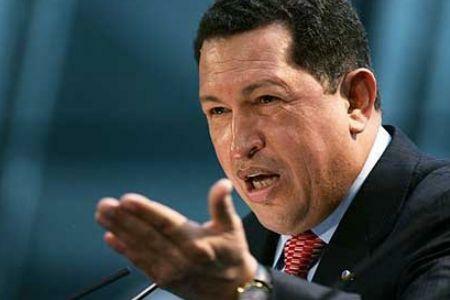 Well, they can do whatever they want, but this man is not coming," Chavez said. The Venezuelan president further added that allowing Palmer to enter Venezuela would be an "indignity," because he has no respect for the country he is being sent to. The US embassy in Caracas has been without an ambassador since Palmer's predecessor finished his term in July. The US Senate is yet to confirm Palmer's nomination. Washington has warned that the fragile ties between the two countries could suffer over the dispute. 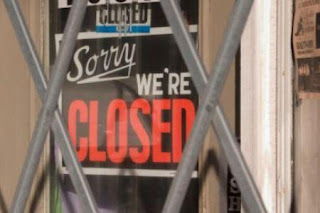 Around one hundred US banks which have been rescued by the federal government are facing the prospect of bankruptcy again, a study finds. A total of 98 unsteady banks that were bailed out by Washington authorities received more than $4.2 billion from the Treasury Department under the Troubled Asset Relief Program (TARP), a recent analysis of federal data by the Wall Street Journal reveals. According to the study, TARP was originally created in the middle of the US financial crisis to help only healthy banks. Seven TARP recipients have already failed, resulting in more than $2.7 billion in lost TARP funds. Most of the troubled TARP recipients are small, plagued by unregulated lending programs from which they might not recover. The average size of the 98 banks was $439 million in assets as of Sept. 30. The median TARP infusion for each was $10 million, the study shows, citing federal filings. The journal calculations also demonstrate that 814 of the country's 7,760 banks and savings institutions are troubled at the end of America's third-quarter financial period, which is up from 729 at the end of the second quarter. However, figures from the Federal Deposit Insurance Corporation (FDIC) have identified 860 financial institutions as problematic. The banks have not been publicly identified. 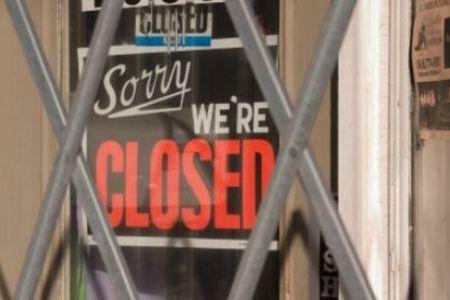 In October, the Government Accountability Office said 78 banks on the FDIC's troubled-bank list as of June 30 were TARP recipients, up from 47 at the end of 2009. Dozens of TARP banks were "marginal institutions" that were financially weaker than other recipients and should have gotten more scrutiny before receiving taxpayer-funded infusions, the GAO said. The US and Germany have criticized Moscow over a second guilty verdict against the jailed Russian former oil tycoon Mikhail Khodorkovsky. Khodorkovsky and his business partner Platon Lebedev were charged with embezzlement and laundering of stolen property at a Moscow district court on Monday. The United States was quick to express its "deep concern" about the verdict. "The apparent selective application of the law to these individuals undermines Russia's reputation as a country committed to deepening the rule of law," White House spokesman Robert Gibbs said. Meanwhile, German Foreign Minister Guido Westerwelle said he was "very worried" by the "extremely dubious" trial. "The trial … is a step backward on the road toward modernization of the country," Westerwelle said in a statement. So far, the European Union has refrained from denouncing the verdict. Political commentator, Peter Lavelle, told Press TV that Khodorkovsky is "a criminal at a vast scale" and compared the tycoon to US financier Bernard Maydoff, who was sentenced to a 150 years in prison for large-scale fraud. Khodorkovsky, the former head of the Yukos oil company, and his business partner Lebedev are accused of stealing over 23 billion dollars worth of oil from their oil company between 1998 and 2003. Both Khodorkovsky and Lebedev maintained their innocence and claimed the charges against them were politically motivated. The trial, which began in March 2009, was the second for the two men. 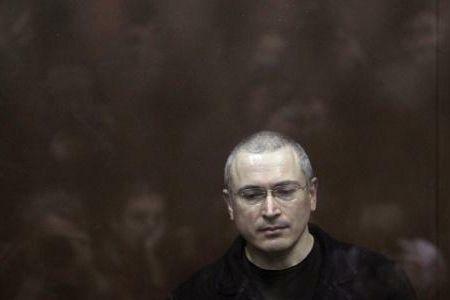 During a 2005 hearing, both Khodorkovsky and Lebedev were sentenced to eight years behind bars for tax evasion. The new verdict is likely to keep Khodorkovsky and Lebedev in prison for several more years, but the announcement of the final verdict may take some days. As the judge inside the court delivered the guilty verdict, hundreds of supporters outside the court building were chanting "freedom" and "shame." 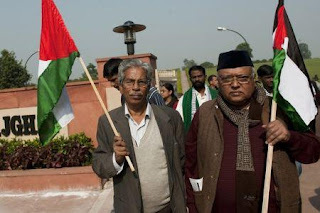 Among those who gathered were public figures, opposition and rights activists. They believe that the Kremlin wants Khodorkovsky behind bars for as long as possible because he financed the opposition when Vladimir Putin was the country's president. Days ahead of the verdict, Putin -- who is now Russia's prime minister -- referred to the former oil tycoon as "a thief" who "belongs in prison." Since the Russian premier has hinted that he may return to presidency in 2012, observers believe Khodorkovsky is likely to stay behind bars until then. However, many in Russia have no sympathy for the former billionaire. The United States has allocated billions of dollars to its nuclear weapons complex, despite agreeing to the New START treaty which demands a reduction of nuclear warheads. According to Newsweek, US President Barack Obama's administration has earmarked 84.5 billion dollar for modernizing America's nuclear arsenal over the next decade. That is an increase of at least 20 percent compared to money spent on nuclear laboratories during Obama's predecessor George W. Bush's tenure. The new development comes months after Obama and his Russian counterpart Dmitry Medvedev signed a new Strategic Arms Reduction Treaty (START) to reduce the number of their active nuclear warheads. 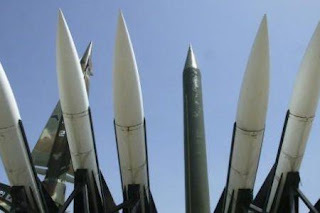 The pact inked on April 8, 2010, would limit Washington and Moscow to a maximum of 1,550 deployed warheads each, about 30% down from the current level of 2,200. The ratification of the New START in US Congress was seen as a huge win for Obama. Many said that the endorsement of the deal would finally enable Washington to slash its way toward its so-called "nuclear free world" motto. However, the recent move by the White House to spend tens of billions of dollars to rejuvenate its nuclear warheads questions Washington's decade-long slogans for a nuke-free world. This is while previous US actions have also indicated Washington's inconsistency with its much-publicized world denuclearization plan. The United States is the first country in the world to develop nuclear weapons and is the only one to have used them. More than 210,000 people were killed in Japan's Hiroshima and Nagasaki in August of 1945, when the US bombers dropped atomic bombs on the cities. Before and during the Cold War the US conducted over 1000 nuclear tests and developed long range delivery systems. 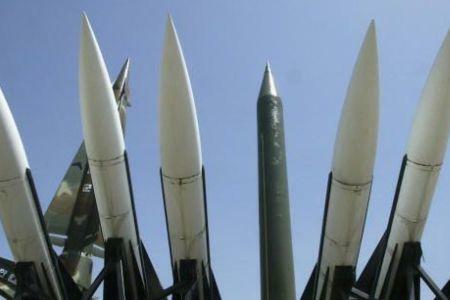 Figures show that the Pentagon has also built over 67,500 nuclear missiles from 1951 to the present day, and some 4,680 nuclear bombers from 1945 until now. 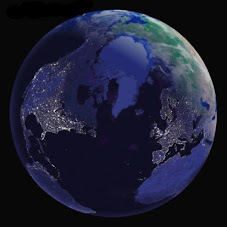 In addition to deploying weapons on its own soil, America has also stationed nukes in 27 foreign countries and territories, including Japan, Taiwan, Germany and Turkey. Arms control advocates believe that these facts question the very basic idea that the US is after a world free of nuclear weapons. 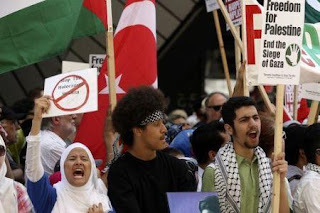 Pro-Palestinian groups in Canada have staged a demonstration to mark the second anniversary of the Gaza war and protest Tel Aviv's crippling siege of the coastal strip. Scores of people gathered outside the Israeli consulate in the Canadian city of Toronto on Monday to commemorate the second anniversary of the Israeli carnage in the Gaza Strip. On December 27, 2008, Israel launched a massive offensive against the densely populated coastal enclave, leaving more than 1,400 Palestinians dead and thousands more injured. The protesters condemned the Israeli war crimes during the 22-day war and the killing of hundreds of children during the relentless bombardment of civilian positions and residential areas during the onslaught. The demonstrators also called for an immediate end to the paralyzing blockade of the impoverished Gaza Strip, which is home to nearly 1.5 million Palestinians. The Monday gathering was also meant to raise awareness of a Canadian aid boat which will set sail for the besieged enclave next spring. During the past two years, several international groups have attempted to break the siege of Gaza by sea and by land. On May 31, a Turkish-organized Freedom Flotilla was severely attacked by Israeli navy commandos in international waters. The bloody takeover of the six-ship convoy left nine Turkish activists dead and injured more than 50 others onboard the civilian fleet. While the naval closure of the Gaza Strip -- tightened since 2007 -- stands, the Free Gaza Movement in Canada has organized an aid boat to Gaza. Set to sail in early 2011, the convoy has already collected USD 125,000 in donations, in the face of enormous efforts from pro-Zionist groups to block further funds for the aid mission. A report on the conditions of Palestinians held in Israeli jails indicates that most of the prisoners are exposed to torture while they are denied access to lawyers. A study by Public Committee Against Torture and Palestinian Prisoners' Society says as many as 90 percent of Palestinian prisoners interrogated by Israel's notorious intelligence agency, Shin Bet, are prevented from consulting with a lawyer, the Israeli Ha'aretz daily paper reported on its website. The NGO further noticed that the prohibition is not in accordance with Israeli civilian and military legislation, despite the Shin Bet's claims that it has legal clearance to keep certain detainees from lawyers. Dr. Maya Rosenfeld, who authored the document, also pointed out that during prolonged periods when prisoners are deprived of meeting with lawyers, the Shin Bet uses interrogation methods that are in contrast to both international and Israeli laws. Sleep deprivation, threats of harming family members and humiliation are among the methods commonly employed by Israeli interrogators. 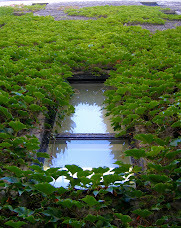 Other techniques include tying prisoners for long hours to a chair with their hands behind the back and keeping them for long periods in unsanitary cells. The Shin Bet has refused to provide data on the numbers of Palestinian detainees prevented from meeting with a lawyer, while a petition filed by the human rights group Yesh Din and the Movement for Freedom of Information in March 2009 is still pending. The blackout prompted the Public Campaign and the Prisoners Society to conduct a research and cross-reference its information with different sources to reach an almost reliable estimate of the numbers of prisoners denied access to lawyers. The study revealed that out of 11,970 Palestinians interrogated by the Shin Bet between 2000 and 2007, between 8,379 to 10,773 were not allowed to consult with an attorney. The report, titled "When the Exception Becomes the Rule," said preventing a meeting with a lawyer for long periods enables illegal interrogation aimed at physical and psychological exhaustion of prisoners, and forcing them into false confessions. The report indicates that the scope of the phenomenon has not reduced in recent years and describes the legal efforts the Public Committee has undertaken in recent years against the phenomenon as "fruitless." Earlier, an Israeli rights group said the Shin Bet holds prisoners under "harrowing conditions" in solitary cells. 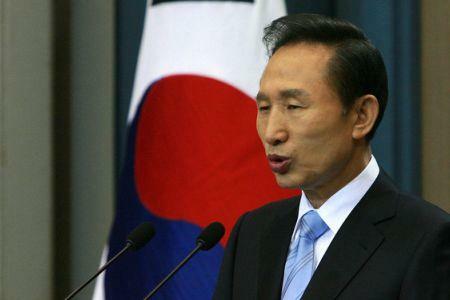 South Korean President Lee Myung-bak has called for national unity and solidarity in the face of military threat from North Korea. Lee said in a national radio address on Monday that division in the country would give the North another chance to attack, thus endangering the lives of South Korean people. "We can't afford to have division of you against me in the face of national security, because what's at stake is our very lives and the survival of this nation," Reuters quoted Lee as saying. "It is when we show solidarity as one that the North dares not challenge us. 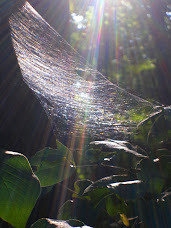 Their will to challenge breaks," he added. Lee put an end to the decade-long free economic help given to the impoverished North as he took office in 2008. However, he has come under severe criticism for indecisiveness and the military's soft reaction to North's artillery attack last month. Tensions climbed in the Korean Peninsula after North Korea shelled South Korean Yeonpyeong Island on November 23, killing four people. The North, however, insists that its shelling was in response to a military drill by the South. 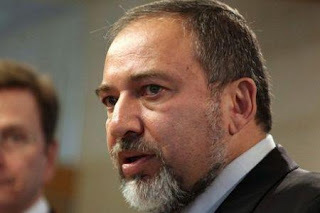 “It's not only that it is impossible” to reach an overall agreement, the Associated Press quoted Avigdor Lieberman as saying on Sunday. “It is simply forbidden,” he told a conference of Israeli diplomats. Labeling the Palestinian Authority (PA) as illegitimate, Lieberman urged that instead of a full peace deal, Tel Aviv seek a long-term, interim agreement on security and economic matters. The remarks by Israel's hawkish foreign minister come nearly two months after US-brokered talks between Tel Aviv and the PA broke down three weeks after they were launched in Washington. The direct negotiations, strongly opposed by the Palestinian public and major resistance groups, hit a dead-end when Israel refused to heed repeated international calls to extend a partial settlement freeze after it expired on September 26. 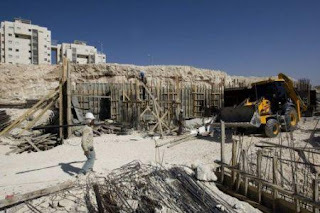 Palestinians have long demanded a halt to the construction of Israeli settlement in the occupied West Bank, including East al-Quds (Jerusalem), as a pre-condition to any negotiations. The US is slashing its nuclear arsenal by signing the New START treaty with Russia, but, ironically enough, is spending billions more on its nuclear-weapons complex. With fingertips nervously tapping desks in the White House, the Kremlin, and the offices of anti-nuke folks around the world, the Senate in the final hours of its term has ratified the New START agreement, which will force both the United States and Russia to dismantle a good chunk of their nuclear-weapons arsenals, reports Newsweek. The two countries agree to limit the number of nuclear warheads to 1,550 each, down from a ceiling of 2,200. So why is Washington now poised to spend tens of billions more on nuclear weapons in the next decade? “Sen. John Kyl was making a point,” says Sharon Squassoni, director of the proliferation-prevention program at the Center for Strategic and International Studies. “Many parts of the nuclear-weapons complex have not been updated. But estimates of what it takes to modernize vary widely,” he says. And in this case, the “expert witnesses” are the same ones cashing in. For months Kyl (R-Ariz.) stood like a roadblock in front of New START. He argued that the treaty offered the US no advantage over Moscow and crippled plans for a missile-defense system in Europe. But his qualm, which translated into spending big bucks, centered on “modernization” of the U.S.'s nuclear-weapons complex. To placate him -- and the Republican senators in his corner -- the Obama White House assembled a plan with $84.5 billion to be spent over 10 years to modernize America's nuclear cache, a marked increase over the kind of money that trickled into the labs during the George W. Bush administration. So, although US stockpiles of nuclear warheads have dropped from the 22,217 in 1989 to the 2,200 today and are expected to continue to decrease in the next decade, Washington will spend boatloads more money-approximately 20 percent more-on the nuclear-industrial complex in coming years. Another issue is a lack of oversight as aging nuclear weapons are dangerous antiques to have lying around, posing very serious danger. Ex-British Member of Parliament, George Galloway, has been denied a visa to enter the US to speak to the MLFA members and some non-Muslims in Kenner, Louisiana over human rights. Galloway was invited to Louisiana by the Muslim Legal Fund of America (MLFA) to deliver a speech to raise funds for the organisation and to promote awareness about ongoing injustices facing Muslims and their rights in the United States. The audience of around 100 people, with the majority being Louisiana Muslim community members, and a handful of non-Muslims were shocked to learn that the keynote-speaker was absent because he was not given an entry visa to America, for the December 13 meeting. 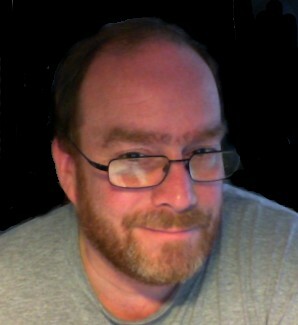 Galloway addressed the crowd in Kenner via the computer program Skype, stating that it was not clear whether the decision was the result of a technical or bureaucratic glitch, or whether it was a political measure carried out in secrecy. He explained that efforts were made to resolve the situation throughout the weekend, but that nothing came of it. His speech to the audience mainly consisted of human rights violations carried out by the US government against Muslims all over the world. He also talked about the rights of Palestinians and the Israeli-led violence towards women and children, which is supported by the US government. “Nothing will stop me. Not the government of what they call Israel; not the government of Canada nor the US,” Galloway said. 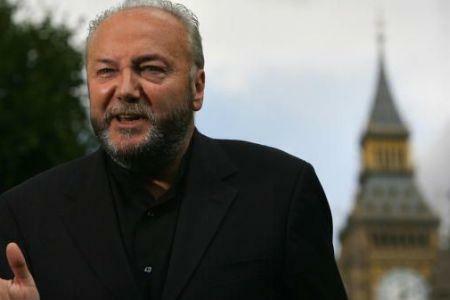 The long-time British activist, George Galloway, is known for his activities in supporting Palestine. He is a founding member of a charitable organisation called Viva Palestina, whose mission is to break the blockade of the Gaza strip by bringing badly-needed aid. Galloway had also been denied entry into Canada from March 2009 until October 2010. He has not, however, been officially banned from entering the United States. Global oil prices are pushing closer to $100 a barrel as the cold weather around the world has raised demand. Benchmark Brent crude closed 48 cents down at more than $93 on Friday after hitting nearly $95 earlier in the day, the highest level since October 2008. The rally in Brent crude is partly due to the severe cold snap in Europe, with more freezing temperatures and snow predicted in parts of Europe over the weekend expected to boost fuel demand. Meanwhile, a group of OPEC ministers is scheduled to meet in Egypt this weekend to discuss oil production and prices, but analysts predict more gains for oil prices in the coming week. 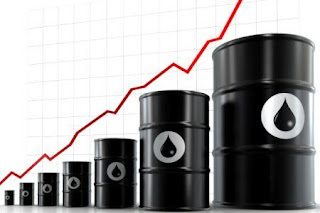 "The reality is that the growth of emerging markets is driving up oil prices, but oil prices are not restraining emerging economies in any significant way," Reuters quoted Sara Johnson, senior research director of global economics at IHS Global Insights in Lexington, Massachusetts, as saying. Higher prices can reduce demand and boost production costs, but the impact will not be that great as many countries have fuel subsidies, which ease manufacturing, transportation, and consumer costs, she stated. South Korea plans to hold a fresh round of naval firing drills at 23 locations around the Korean Peninsula, excluding areas near the disputed sea border with North Korea. 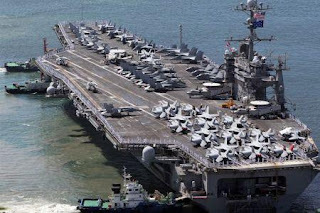 "This is part of a regular practice involving army, naval and air forces... and the state-run Agency for Defense Development will also conduct ammunition tests off the west coast," a spokesman for the South Korean Joint Chiefs of Staff told AFP on Sunday. The drills will be held around the Korean peninsula from December 27 to 31, the report added. Last week, the South staged a live-fire artillery exercise on Yeonpyeong Island, lasting about two hours. The maneuvers at a firing range in Pocheon, around 30 km from the inter-Korean border, involved more than 100 types of weapons. 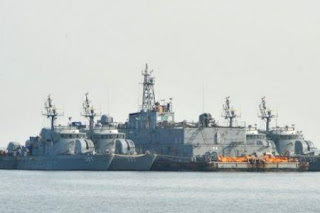 Thursday also saw the second day of a three-day firing exercise by the South Korean navy in the Sea of Japan to the east of the peninsula, about 100 km south of the maritime border with North Korea. The North did not retaliate despite earlier warnings. In November, an artillery exchange between the two neighbors left four South Koreans dead on a border Island. Turkey asserts that Israel cannot run away from the murder of nine Turkish Gaza-bound activists and repeats its demand for apology and compensation. 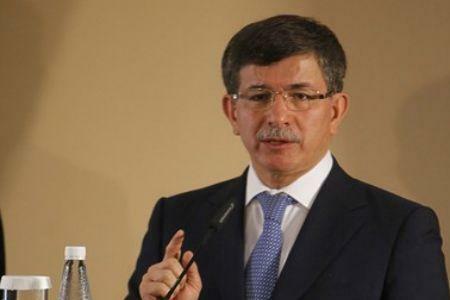 On Saturday, the country's Foreign Minister Ahmet Davutoglu said, “Nothing can cover up” the deadly act of aggression, the Associated Press reported. The victims died and 50 others were injured on May 31 during an Israeli commando attack on the Freedom Flotilla, an international Turkish-backed aid convoy, which had set sail to break Tel Aviv's siege of the Gaza Strip. The fleet was carrying approximately 750 human rights activists and around 10,000 tons of construction material, medical equipment and school supplies. The activists were subsequently expelled and the cargos were transferred to the Israeli port of Ashdod to the south of Tel Aviv. Reports, meanwhile, pointed to Israeli forces' appropriating and misusing the activists' personal belongings. Davutoglu accused Israel of not responding to Turkey's overtures, apparently referring to Ankara's several instances of offering Tel Aviv the opportunity to make amends for the assault. 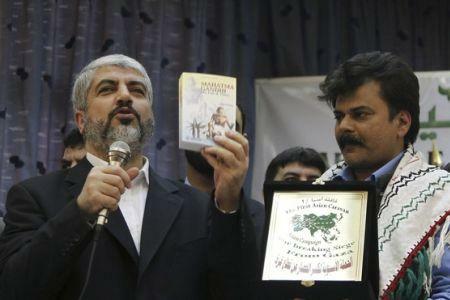 The remarks came on the eve of the return of Mavi Marmara, the lead ship of the attacked convoy. The vessel, which is expected to carry the survivors of the attack, is expected to be received in a deserving ceremony, attended by thousands, Israeli website Ynetnews reported. Egypt is building surveillance towers along the border with the Gaza Strip as part of its measures to step up restrictions on the besieged coastal enclave. Egyptian security officials said on Saturday that the first of the steel and concrete towers, measuring almost 100 feet (30.5 meters) in height, near the Rafah Crossing, is almost completed, the Israeli daily Ha'aretz reported. The officials, speaking on condition of anonymity, said the structures were being built to improve the monitoring of movements along the border. 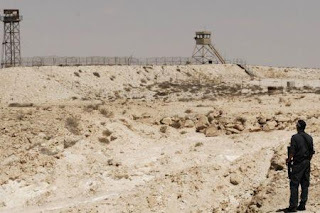 Cairo is also constructing an underground steel wall to disrupt a network of tunnels under the Gaza-Egypt border, which the Palestinians use to import basic food items and other supplies into the blockaded territory. Egyptian authorities regularly fill the tunnels with gas or flood them with water and the underground lifelines are frequently bombed by Israeli fighter jets. The construction of the steel wall and observation towers has caused tension between Egypt and other countries in the region. In 2009, Hezbollah Secretary General Seyyed Hassan Nasrallah criticized Egypt over the construction of the underground steel wall, saying it would "terminate the thin veins, which are giving some life and some hope to Gaza." North Korea has prevented a devastating war from happening on the Korean Peninsula through its remarkable restraint measures, the country's newspapers say. In a commentary on Saturday, the daily Minju Choson wrote that a military conflict and an all-out war had been prevented by the peace-loving Democratic People's Republic of Korea thanks to the great restraint it has shown so far. The Rodong Sinmun newspaper said it was only because of Pyongyang's desire for peace that the military provocation of the United States and South Korea had not led to a war. 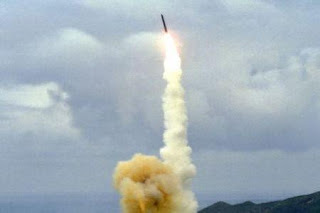 The paper also urged the South Korean authorities not to believe North Korea is too "weak" to launch a counterattack. 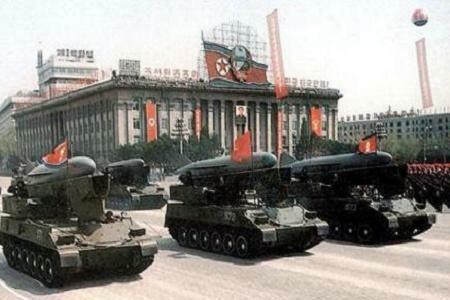 "The Democratic People's Republic of Korea is closely watching over the moves of the warmongers," Rodong Sinmun wrote. On December 20, the South Korean military held a live-fire artillery drill in the Yellow Sea one month after North Korea's deadly attack on Yeonpyeong Island. Two South Korean marines and two construction workers were killed on November 23 when North Korea fired dozens of artillery shells onto the small island. The attack set more than 60 houses ablaze and sent civilians fleeing in terror. Seoul said that it will engage in active diplomacy with the US, China, and countries surrounding the Korean Peninsula to seek punitive action against Pyongyang for the artillery attack on Yeonpyeong Island. Seoul is still technically at war with Pyongyang since the Korean War ended in an armistice, not a peace treaty. North Korea has threatened to wage a 'sacred war' with the South using its nuclear deterrent, warning that military exercise conducted in the Yellow Sea are a preparation for war. "The South Korean puppet forces perpetrated such grave military provocation as renewing their shelling against the DPRK [North Korea] during their recent exercises for a war of aggression in the West Sea [Yellow Sea] of Korea," Pyongyang's Korean Central News Agency quoted North Korea's Armed Forces Minister Kim Yong-chun as saying on Thursday. The remarks came after Seoul held the war game early Thursday in the Pocheon region, between the South Korean capital Seoul and the heavily armed de-Militarized zone separating the two Koreas. "This indicates that the enemy's scenario for aggression aimed at the start of another Korean War, has reached the phase of its implementation," Kim added. "The revolutionary armed forces of the DPRK are getting fully prepared to launch a sacred war of justice of Korean style based on the nuclear deterrent at anytime necessary to cope with the enemies' actions deliberately pushing the situation to the brink of a war." This is while South Korean President Lee Myung-bak toured a border outpost and vowed a powerful response if provoked again by North Korea, suggesting that was the path toward peace, a Press TV correspondent reported. While Pyongyang, which claims ownership of nearby waters, considers the military exercises as an infringement of its territory, Seoul says the drills are defensive. In recent months, the United States and South Korea have conducted several massive joint sea and air drills in waters east of the Korean Peninsula. Tensions climbed in the Korean Peninsula after North Korea shelled South Korean Yeonpyeong Island on November 23, killing four people. The North, however, insists that its shelling was in response to a live-fire drill by the South. The first Asian humanitarian convoy to break Israel's siege of the Gaza Strip by taking relief supplies to the coastal sliver has reached Lebanon. Currently joined by activists of 15 different nationalities, the Asian People's Solidarity with Palestine convoy, also known as Asia 1, began its journey from India and traveled through Pakistan, Iran, Turkey and Syria before arriving in Lebanon. The mission has been welcomed by Khaled Mashaal, the political leader of the Palestinian resistance movement of Hamas, as well as Ramadan Abdullah, the leader of the Palestinian group of Islamic Jihad. "We really appreciate your effort to keep this momentum and to follow up your work," Abdullah said. A seven-member delegation of Iranian lawmakers joined the mission while it was in the Syrian capital, Damascus. The convoy plans to enter Gaza later in the month on the anniversary of the launch of the 22-day-long Israeli war on the enclave, which killed more than 1,400 Palestinians. There are fears that the mission might be fiercely confronted by Israel's military, which killed nine Turkish activists aboard Freedom Flotilla, an Ankara-backed humanitarian convoy, on May 31. 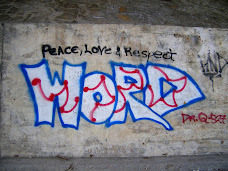 In case of an attack, “We will face it with non-violence. 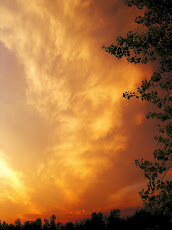 We'll face it with a prayer in our hearts,” he added. The Italian senate has approved controversial reforms in the education system proposed by Prime Minister Silvio Berlusconi in a bid to tackle the country's public debt. 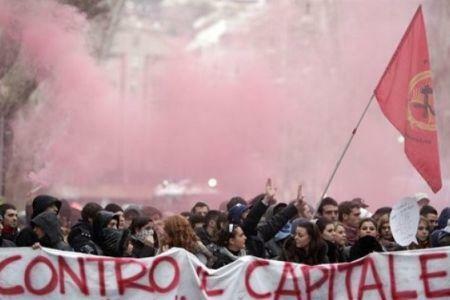 The reforms set forth by Berlusconi sparked mass demonstrations across Italy on Wednesday as students protested the cuts which are aimed at saving the country billions of dollars. The protests followed last week's violent demonstrations triggered when the Italian prime minister survived a confidence-vote motion. The reforms would cut the number of courses and faculties, reduce funding for grants and introduce non-academic university deans to the education system. The bill was passed by 161 votes to 98 with six abstentions in the senate where Berlusconi and his political allies have a large majority. President Giorgio Napolitano will now sign the bill into law. Italy is currently spending less than 5 percent of its Gross Domestic Product on education which is much lower than many developed countries. 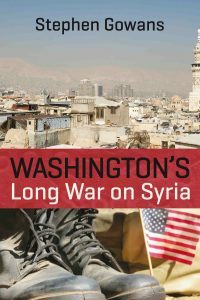 A renowned US journalist says Washington's military and economic empire could collapse at any time as it has embarked on the same course in Afghanistan as the former USSR did back in the 1980's. "We're losing [the war in Afghanistan] in the same way the Red Army lost it," said Chris Hedges in a December 17 interview with the Raw Story. "It's exactly the same configuration where we sort of control the urban centers where 20 percent of the population lives. The rest of the country where 80 percent of the Afghans live is either in the hands of the Taliban or disputed," he explained. "Foreigners will not walk the streets of Kabul because of kidnapping, and journalists regularly meet Taliban officials in Kabul because the whole apparatus is so porous and corrupt," the Pulitzer Prize-winning journalist said. Hedges predicted that US President Obama's war report due later in December would "contradict not only [US] intelligence reports but everything else that is coming out of Afghanistan." The CIA's own assessment confirmed the long-time foreign correspondent's speculation, as it came in striking contrast with Obama's report. Defense Secretary Robert Gates, however, insisted that the US controlled more territory in Afghanistan than in 2009. Hedges also referred to what it called “a corporate coup d'?tat in slow motion" as another symptom of the US decline. "Our public education system has been gutted. Our infrastructure is corroding and collapsing. Unless we begin to physically resist, they are going to solidify neo-feudalism in this country." 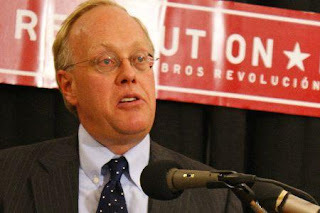 Chris Hedges, the author of Death of the Liberal Class, specializes in American and Middle Eastern politics and societies. The former New York Times journalist spent nearly two decades as a foreign correspondent in Central America, the Middle East, Africa and the Balkans and has reported from more than fifty countries. North Korea has slammed South Korea's major ground and air live-fire drill amid growing tension on the Korean Peninsula. South Korea's military ended a major live-fire exercise involving tanks, artillery and fighter planes, AFP reported on Thursday. The South started the war game in the Pocheon region, between the South Korean capital Seoul and the heavily armed De-Militarized Zone separating the two Koreas at 2:43 pm (0543 GMT) and ended at 3:24 pm. More than 800 military personnel took part in the exercise. It also included six fighter jets, anti-tank missiles, and involve more than 100 types of weapons. The two Koreas got engaged in an artillery fire exchange on the Yeonpyeong Island during which four South Koreans were killed. Tensions remain high on the Korean peninsula since then. According to an army spokesman, the Thursday drill at Pocheon, 20 kilometers (12 miles) south of the border, was the biggest of its kind to be held at the range. The drill at the Pocheon range would "demonstrate our solid military preparedness,” First Armoured Battalion commander Choo Eun-Sik said earlier on Wednesday. The North has called the drills provocative and an effort to trigger a war, warning the South against holding more joint military exercises with Washington. Tensions erupted between the two Koreas after last month's deadly clash between South and North Korean forces along their disputed sea borders. The fighting left four South Koreans, including two civilians, dead. Each side blames the other for initiating the fighting. The Greek parliament has approved the government's 2011 budget that includes even deeper austerity measures on the debt-ridden nation amid protest rallies and strikes against the move. The new measures, narrowly voted on by Greek lawmakers early Thursday, include more spending cuts, tax increases, and a new freeze on pensions. The legislation is intended to reduce the country's budget deficit of about 9.4 percent of GDP this year to 7.4 percent next year through continued tax hikes and spending cuts in efforts to keep Greece in line with terms of the bailout loan that saved the country from and economic collapse back in May, Reuters reports. 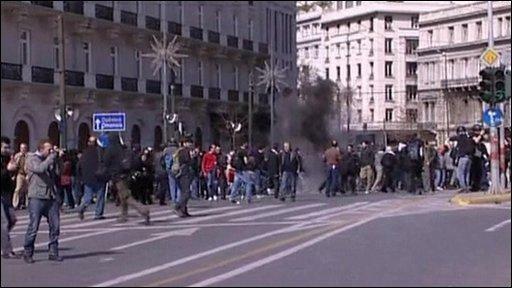 The events take place as Greece suffers its third consecutive year of recession. The budget passed the parliament on a strict party-line vote by the 156-strong ruling Socialist Party legislators in the 300-member parliament. 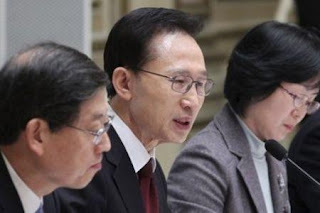 However, the leader of the main opposition party, the conservative New Democracy, told lawmakers that the 2011 budget and the bailout funds would eventually fail. Public transportation in Greece came to a halt in the capital Athens on Wednesday as thousands of protesters rallied peacefully across from the parliament to protest wage cuts and other measures aimed at stemming a financial crisis that has brought a major impact on the euro zone, spread to Ireland, and may further extend to other countries such as Portugal. The US Senate has approved an arms control treaty, known as New START (Strategic Arms Reduction Treaty), with Russia that aims at reducing nuclear weapons in both countries. The Senate, presided over by Vice President Joe Biden, obtained the necessary two-thirds vote after 13 Republicans and two independents voted in favor of the new strategic arms reduction treaty, giving the Democrats a political victory. The treaty was ratified by a vote of 71 to 26. But the accord, passed Wednesday, after months of delay, has still to be approved by the Russian parliament, a move expected next spring, reports said. The New START will pave the way for new cuts in American and Russian nuclear warheads by some 30% - to 1,550 - from a limit set eight years ago. The treaty would also allow each side visually to inspect the other's nuclear capability, with the aim of verifying how many warheads each missile carries. The treaty, which will replace its lapsed predecessor, START, was signed by President Barack Obama and his Russian counterpart, Dmitry Medvedev, in April 2010. 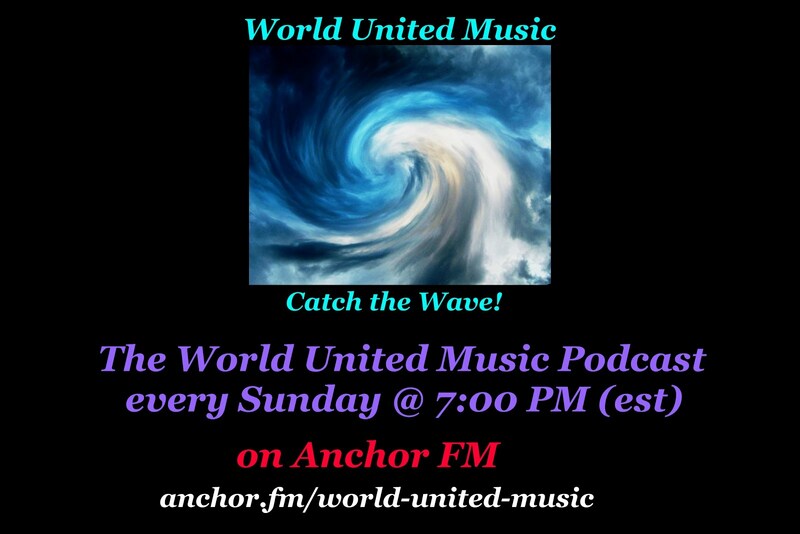 The treaty gives Obama a major foreign policy success in the closing hours of the outgoing session of the current Congress, who argued that ratification of New START was vital to US national security. Russian Foreign Minister Sergei Lavrov had previously warned that the treaty would be scrapped if Republicans succeeded in altering its form from the document signed in April. 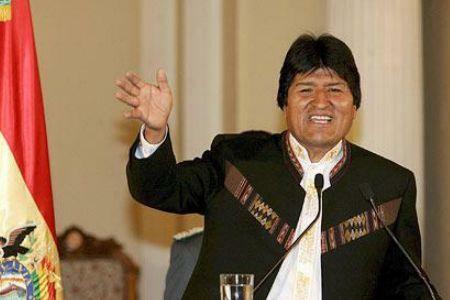 Bolivian President Evo Morales has sent a formal letter to acting Palestinian authority Chief Mahmoud Abbas recognizing Palestine as an independent and sovereign state. He said at a press conference that he recognized Palestine as "an independent and sovereign state... as have other countries like Brazil." A Foreign Ministry official later confirmed that Bolivia declared its full support for Palestine in the letter. La Paz cut off diplomatic ties with Israel in January 2009 over Israel's three-week war on Gaza Strip, which killed over 1,400 Palestinians, mostly women and children. Over 130 countries have officially recognized Palestine as a state based on the 1967 borders, the boundaries that existed before Israel captured East al-Quds (Jerusalem), the West Bank, and the Gaza Strip. Bolivia now joins the list of South American countries that have recognized a fully sovereign Palestinian state on the 1967 borders. Uruguay has announced plans to do so next year. The United States so far refused to recognize an independent Palestinian state. In mid-December, the House of Representatives passed a resolution, with 435-0 votes, opposing a unilateral declaration of an independent Palestinian state and condemning international recognition of such a state. It also called on its delegation to the UN Security Council (UNSC) to "veto any resolution by the UNSC to establish or recognize a Palestinian state outside of an agreement negotiated by the two parties." The House resolution is in stark contrast with the Obama administration's promise from day one to push for the creation of an independent Palestinian state as part of a two-state solution to the Palestinian-Israeli conflict. South Korea has announced that it is to hold a new live-fire drill near border with North Korea, further intensifying the impasse in the Korean Peninsula. The drill, involving fighter jets and tanks, will be held on Thursday, only three days after South Korea carried out a one-day live-fire drill in the Yellow Sea despite threats of retaliation and stronger strikes from North Korea, AFP reported Wednesday. Thursday's ground and air firing exercise would also involve self-propelled guns and 800 soldiers, South korea's military said. According to an army spokesman, the drill at Pocheon, 20 kilometers (12 miles) south of the border, would be the biggest of its kind to be held at the range. The spokesperson further pointed out that similar drills had been held at Pocheon many times before. The drill at the Pocheon range would "demonstrate our solid military preparedness,” First Armoured Battalion commander Choo Eun-Sik said. 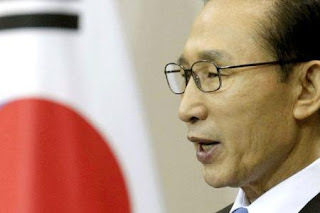 "We will retaliate thoroughly if the North commits another provocative act like the shelling of Yeonpyeong," he added. Several Pakistani civilians have lost their lives due to the US non-UN-sanctioned attacks inside Pakistani territory. Pakistan has opposed any ground military operations in its territory by US troops amid reports of the US expansion of ground war into the Asian country. Following a New York Times report on Monday about the US expanding of ground operations across the border into Pakistan's tribal areas, a spokesman for Pakistan's Foreign Ministry said on Wednesday Pakistan is capable of confronting militants in its tribal regions. On Monday, US military officials told the New York Times that American commanders had drawn up plans to attack militant hideouts in Pakistan. In response to the newspaper report, Pakistan's ambassador to the US, Husain Haqqani, said, "Pakistani forces are capable of handling the militant threat within our borders and no foreign forces are allowed or required to operate inside our sovereign territory." The United States has launched scores of airstrikes in Pakistan since 2008, but ground operations have been rare. Islamabad has repeatedly condemned the aerial raids, saying the attacks undermine the Asian country's sovereignty. Washington claims the air strikes target militants, however, most of the victims of US non-UN-sanctioned attacks in Pakistan are civilians. 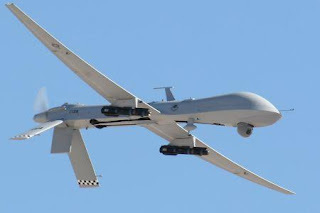 Almost one-thousand Pakistanis have been killed in more than 100 US drone attacks during the past two years. On Sept. 30, Pakistan, in retaliation to the surge in the US cross-border attacks, closed a key border crossing for 10 days to NATO supply trucks. During the closure of the route, militants intensified their attacks on the NATO trucks and oil tankers. However, the September Pakistani move against the US-led forces did not stop the United States military from carrying out the drone attacks inside Pakistani territory.